They’re hungry, they’re tired, they don’t want to be in the stroller and they want to be carried around everywhere. 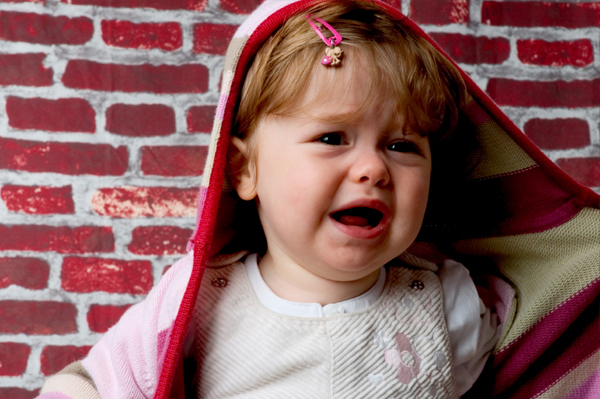 Here’s the A to Z of keeping your children’s tantrums in check. We’ve all seen that struggling mother with her screaming child in the supermarket and wondered what on earth is going on. But when it’s your turn to bear the brunt of toddler tantrums, you’ll realise how difficult it is to navigate the storm. Here’s how to keep them in check and minimise your embarrassment. No matter what you do, don’t get worked up or your hysterical child will feed off your angst. There’s no point getting angry and screaming down the whole supermarket. Rather try to use your patient, peaceful attitude to help calm your child. As important as it is to stay calm, you should also avoid giving in to your child — it will only work to reinforce their behaviour and they might pull the same trick again next time. Try to keep your voice steady and firm, and explain the situation and why they can’t have what they want. Prevention is better than cure, and kids are far more likely to throw a tantrum when they’re tired or hungry. If your child’s been up all night or has missed out on a meal, avoid public areas (if possible) until they’ve at least had a nap or a nibble. If their tantrums are becoming a regular occurrence, you may need to restate the ground rules each time before you leave the house. Before the tantrum reaches the point of no return, you can try distracting your child with a favourite toy or a change of environment. Simply moving from the lolly aisle full of “wants” to the fruit and vegetable section where objects are funny shapes and interesting colours might help to take their mind off their frustrations. If your child is screaming with no signs of calming down and your shopping can actually be left to another day, your only option may be to leave the store and return at a later time or day with a calmer child. When you’re a busy mum running on a few hours sleep, it can be easy to take your child’s tantrum personally and get emotional. If strangers are giving you stares, simply ignore them and remind yourself that it’s none of their business and tantrums are not your fault. Just about every child will go through this phase (often for no reason at all) and it doesn’t mean you’ve done anything wrong. No matter how insignificant the problem may seem to you, the frustration your child is feeling no doubt feels very real for them. If they’re in their toddler years and still learning about this big world, sometimes their tantrums come from feelings of fear and confusion, or not being able to communicate what they want or need. If you can show a little understanding or give some emotional support to your child (while still standing your ground), it might be enough to help calm them down. Also giving your child options and the opportunity to make their own decisions may help quell their frustrations. For example, instead of outright denying their request for a lolly in the supermarket, you could try steering them in the right direction by asking them if they want a yoghurt or a health bar instead. How to deal with the big no! Kids and manners: How young is too young to teach please and thank you?